A tool and bottle opener in one, what more could any self-respecting man want? 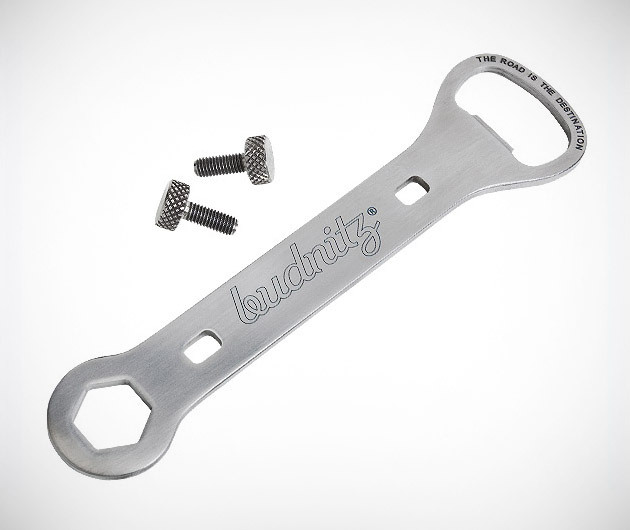 The Beer Wrench boasts a titanium 15 mm spanner that will handle everything from axle bolts, hub bolts and Pitlock keys and it has even been engraved with a quote from an ancient Japanese Zen Master. They really have thought of everything.